It’s time to call for nominations for this year’s Markus Cook Award for services to the international messenger community. This will be the 21st year that the award is presented. It was started by Buffalo Bill in 1998, to remember Markus and to draw attention to messengers whose work benefits all of us. 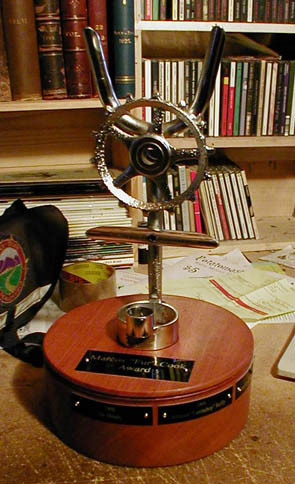 It was first awarded during the 1998 Cycle Messenger World Championships in Washington DC. “The MCA for services to the International Messenger Community is not a prize for winning a race. 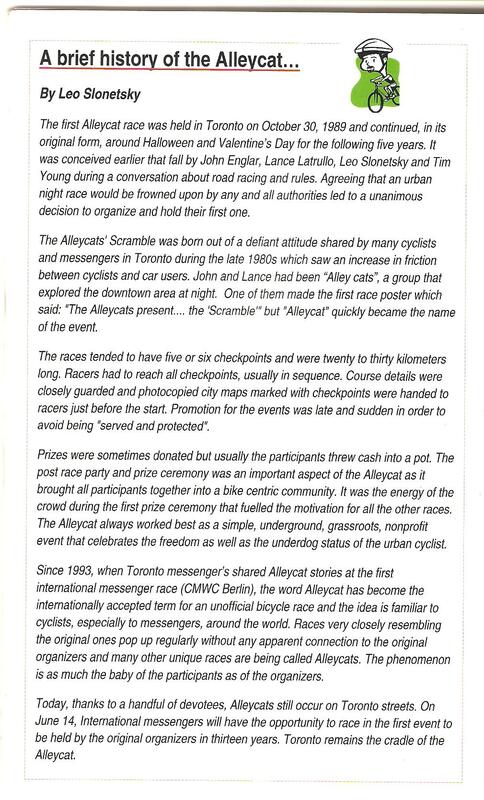 At the time the Award was conceived, CMWC was beginning to be more about the racing than the happening. I [ Buffalo Bill] wanted to re-establish the spirit of the championships, to restate the reason that we all come to this event every year. The MCA is a reflection of the axiom that everyone who comes to a CMWC is a winner, whether they race or not. Markus himself was very much in love with the CMWC, and in many ways he was the unlikeliest bike racer imaginable. He was several other things, of course. Editor of Mercury Rising messenger zine, unofficial spokesperson of the SFBMA, leader of L Sid, and a friend to all. The enthusiasm of Markus brought CMWC and the international messenger community toSan Francisco, and it saddens many people to this day that he did not live to see it. Here is another old article from 1992 about DC couriers. Yes they were already writing articles about the end of messengers in 1992. When I first read this in 1993 I didn’t know any messengers outside of my own city and I thought Scrooge and Su were awesome. Scrooge would become one of my messenger heroes. He’s still awesome. It’s was originally published in the New Republic and was republished in W. Hampton Sides’ book “Americana” in 2004. I began collecting and researching articles about bike messengers in 1993. One of the first articles I found on microfiche at the Toronto reference library was by Jack Kuglemass from 1981 in Natural History Magazine. The copy I was able to print out was of very poor quality so I was never able to transcribe it and put it up. I have been searching for it to be available publicly online for the last 20 years. It’s finally up. 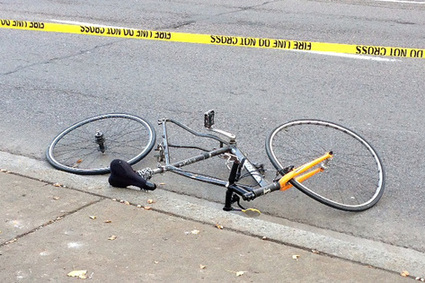 I still think this is probably the best article ever written about bike messengers. and excitement of dodging traffic to the routine of a nine-to-five job. So ended my first week as a bicycle messenger. 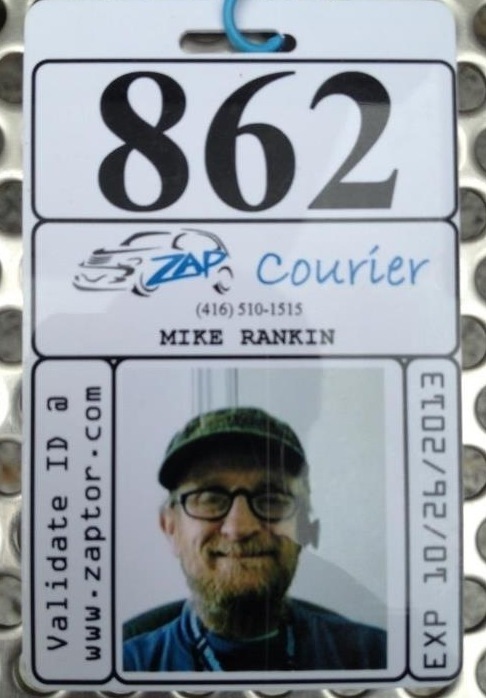 I took the job in order to study bicycle messengers, but after a day or two I had become more concerned with magic numbers than with researching the story. Although it made me hesitant to continue riding, the accident on the cement powder put me back on the right path: I began to concentrate on meeting and arranging interviews with other messengers. I also began to understand the attractions of “messengering” as a way of life, particularly the romance of danger. The 600 bicycle messengers who ply New York City’s Borough of Manhattan are a diverse group of people. They cross over class, ethnic, and racial lines, and although a small minority, there are women riders too. But all share a kinship with the heroes of the Wild West. They are romantic adventurers who prefer the exhilaration of danger to civilization’s deadening routine. The streets of Manhattan are a frontier, a no man’s land. In the main business districts, they interrupt the flow of civilized behavior, contrasting with the sterile, almost hermetically sealed world of high-rise offices. If there are laws regulating New York City traffic, they are barely enforced. Bicycle messengers are fast and contemptuous of the rules. They intimidate pedestrians and alarm the drivers of other vehicles competing with them for space on the road. Messengers sometimes wear outlandish clothes that go well beyond what is functional attire for riding in town. Some wear gas masks to filter out particles of dirt from automobile exhaust fumes. Others wear special racing gloves from which their knuckles protrude in a vaguely menacing way. And they all have one identifying mark—an oversized bag slung behind their backs. The first trailer for the feature bike messenger action movie is here. Many New York City messenger were involved in the making of this movie.